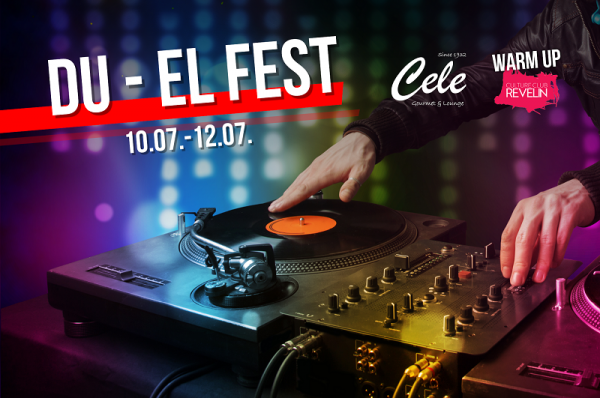 It’s time for another party, but this time three days of great parties at the DU EL FEST, from 10-12 July! Of course warm up for the best party in the city is at the Cele gourmet&lounge bar. Fisrt night of DU EL Fest is reserved for dj Mark Knight, one of the world’s most successful producers and DJ’s. At second night Adhmin – new boy sin town willl bring „Super house“ unique sound. DJ Technasia brings electrical feeling all the way to Dubrovnik’s Revelin and opens up the whole new dimension of summer party for the fans and visitors. Good party starts with warm up at Cele gourmet&lounge!